My colleagues on tour indicate that they are impressed by Turkey’s rich history and diversity. It impresses me too! Alacahöyük, near Hattushash, capital city of ancient Hittite Kingdom. Ishakpaşa Palace near Mt. Ararat in east Turkey. 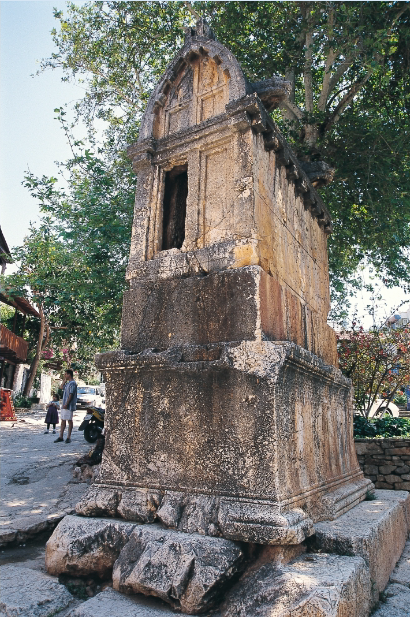 Lycian sarcophagus, Kas on the Mediterranean. Beehive Houses in Urfa, south Turkey. Sumela Monastery, north Turkey, near the Black Sea. Many historical facts have changed since I started guiding in late 1980’s with new archaeological discoveries. While it is a challenge to keep up professionally, it is also a very exciting ride in an interactive time machine. These give me a chance to mention Göbeklitepe, the Potbelly Hill, located in southern Turkey in ancient Fertile Crescent. 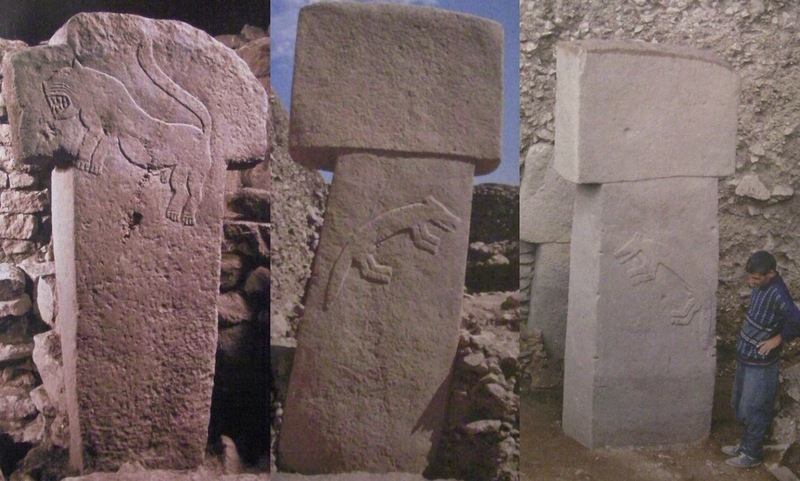 Göbeklitepe is the earliest monumental structure mankind ever built. Professor of Anthropology at Stanford University and Director of Çatalhöyük Archaeological Project, Ian Hodder, summarized the importance of the site as, “Göbeklitepe changes everything”. Predating Stonehenge by 6,000 years and Great Pyramid of Giza by 7,000 years, Göbeklitepe from the 9th and 10th millenium BC urges us to reconsider the written history. Dating to the end of the ice age, to a time we thought mankind were hunters and gatherers. 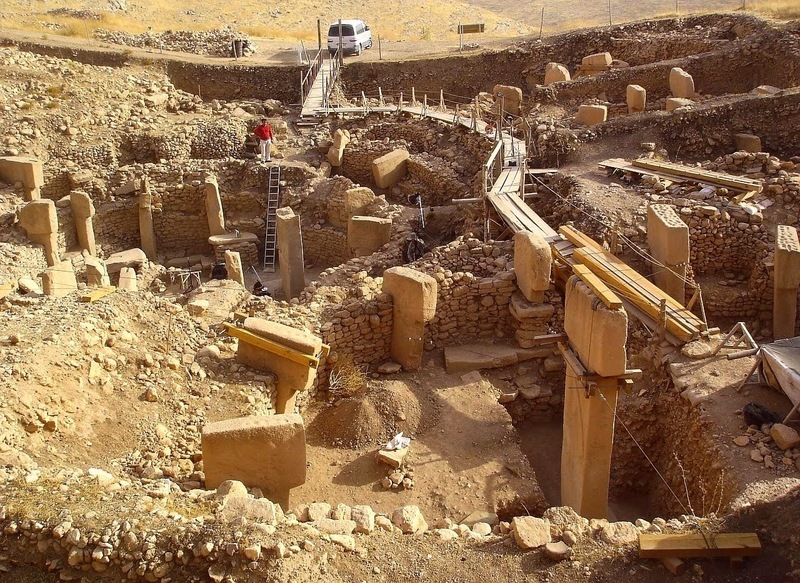 A very recent discovery comparatively, Göbeklitepe was discovered in 1994 and has been excavated since 1995. Late Professor Klaus Schmidt of German Archaeological Institute lead excavations till his death in 2014. The excavations revealed 6 monumental temples out of 20, most consisting of two 5 – 6 meter mega limestone monoliths weighing upto 15 – 20 tons a piece with smaller “T” shaped monoliths circling them. Mainly animal reliefs adorn the monoliths. All carved by the only tool that was available, the flint stone. Clearly, such sophisticated structures couldn’t have been work of small hunter gatherer communities, but of a well organized civilization who could feed themselves properly. This lead the archaeologists to look around carefully for source of food and they discovered the earliest cultivated wheat. 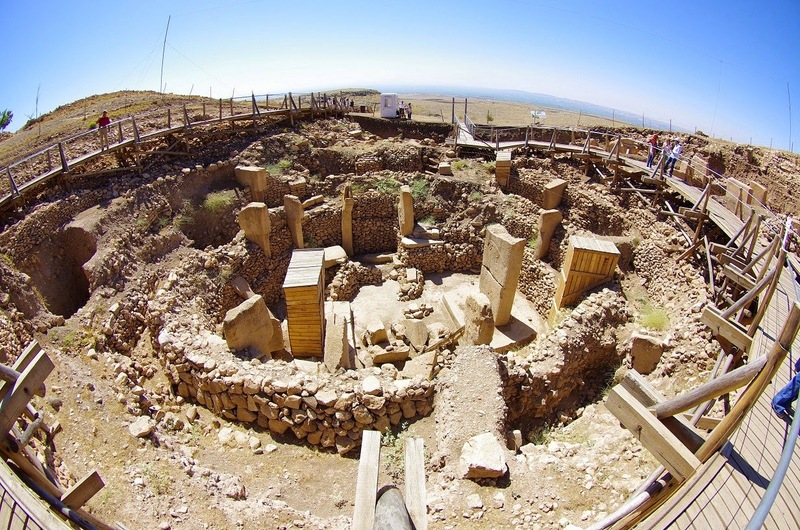 Thus, now Gobeklitepe civilization is recognized as the first to start agriculture. However, it is not very clear if they developed agriculture for sake of being able to build the monumental temples or they built the temples with the fuel / energy they got from consuming cultivated wheat. Regardless, Göbeklitepe people were the first to eat the bread.